Comic Con - Mural- For Omnibus. 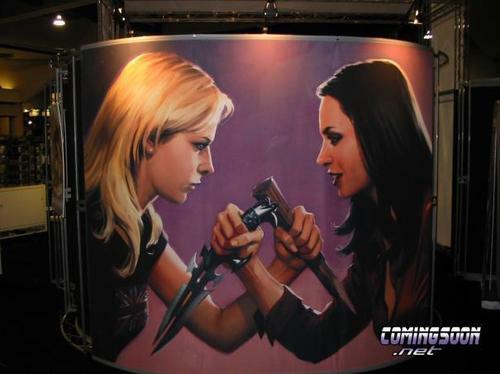 A Painting done for Comic Con 2008 of the upcoming Buffy the Vampire Slayer Omnibus. Original picture from 'Enemies'. Wallpaper and background images in the Buffyverse Comics club tagged: darkhorse 20th century fox buffy the vampire slayer omnibus enemies mural art sarah michelle gellar eliza dushku faith comic con 2008.